This article is about the film. For the game based on the film, see Toy Story 3: The Video Game. Toy Story 3 is a 2010 American 3D computer-animated comedy-drama film, the third installment in the Toy Story series. and the sequel to Toy Story 2 (1999). It was produced by Pixar Animation Studios and released Walt Disney Pictures. It was directed by Lee Unkrich, the editor of Toy Story (1995) and co-director of Toy Story 2, written by Michael Arndt, while Unkrich wrote the story along with John Lasseter and Andrew Stanton, respectively director and co-writer of the first two films. The film was released in theaters June 18, 2010, and played worldwide from June through October in the Disney Digital 3-D, RealD, and IMAX 3D formats. Toy Story 3 was the first film to be released theatrically with Dolby Surround 7.1 sound. The plot focuses on the toys Woody, Buzz Lightyear, and their friends dealing with an uncertain future as their owner, Andy, prepares to leave for college. The film features an ensemble voice cast with Tom Hanks, Tim Allen, Joan Cusack, Don Rickles, Wallace Shawn, John Ratzenberger, Estelle Harris, Jodi Benson, and John Morris reprising their roles from the previous films, and Ned Beatty, Michael Keaton, Whoopi Goldberg, Blake Clark (replacing Jim Varney), Timothy Dalton, Kristen Schaal, Bonnie Hunt, and Jeff Garlin joining the returning cast. Like its predecessors, Toy Story 3 received critical acclaim upon release. It became the second Pixar film (after Up) and third animated film overall (after Beauty and the Beast and Up) to receive an Academy Award nomination for Best Picture. The film received four more Academy Award nominations for Best Adapted Screenplay, Best Sound Editing, Best Animated Feature and Best Original Song, winning the latter two. Toy Story 3 grossed over $1 billion worldwide, becoming the highest-grossing film of 2010—both in North America and worldwide—and the fifth highest-grossing film at the time of its release, as well as the third highest-grossing animated film of all time and the first animated film to generate $1 billion in ticket sales. A sequel, Toy Story 4, directed by Lasseter is scheduled to be released on June 21, 2019. 17-year-old Andy is about to leave for college, and his toys have not been played with for years. He intends to take only Woody with him, and puts Buzz Lightyear, Jessie and the other toys in a trash bag to be stored in the attic. Andy's mother mistakenly takes the bag to the curb for garbage pickup. The toys escape and, believing Andy intended to throw them away, decide to climb into a donation box with Barbie bound for Sunnyside Daycare. Woody follows them but is unable to convince them of the mistake. Andy's toys are welcomed by the other toys at Sunnyside, and are given a tour of the seemingly idyllic play-setting by Lots-O'-Huggin' Bear ("Lotso"), Big Baby, and Ken. The toys choose to stay, except Woody, who attempts to return to Andy, but is instead found by Bonnie, one of the Sunnyside students. She takes Woody home and plays with him along with her other toys, which are well-treated. Meanwhile, at Sunnyside, a group of toddlers plays roughly with Andy's toys. Buzz seeks out Lotso to request to have them moved to the older children's room, but Lotso refuses. At the same time, Mrs. Potato Head, through an eye she inadvertently left in Andy's room, sees Andy searching for the toys. However, before they can leave, Andy's toys are imprisoned by Lotso's gang, guarded by Buzz, whom Lotso switched to Demo Mode. At Bonnie's house, a toy clown named Chuckles explains to Woody that he, Lotso and Big Baby once had a beloved owner named Daisy. When the toys were accidentally left behind by Daisy's family during a trip, they made their way back to her house, only to find that Lotso had been replaced. Woody returns to Sunnyside and learns from a Chatter Telephone toy that there is only one way out of the daycare: the trash. Woody and Andy's other toys execute their plan but accidentally reset Buzz to Spanish mode instead of his old persona. Buzz promptly allies himself with Woody and falls in love with Jessie. The toys reach a dumpster, but are cornered by Lotso and his gang. As a garbage truck approaches, Woody reveals what he learned about Lotso and tosses Daisy's ownership tag, which Chuckles had kept, to Big Baby. Lotso destroys the tag and says that toys are meant to be discarded, but Big Baby throws Lotso into the dumpster. As the toys try to leave, Lotso pulls Woody into the dumpster just as the truck collects the trash. The rest of Andy's toys fall into the back of the truck while trying to rescue him, and a falling television lands on Buzz, restoring his memory and normal personality. The truck deposits the toys at a landfill, where they find themselves on a conveyor belt leading to an incinerator. Woody and Buzz help Lotso reach an emergency stop button, only for Lotso to abandon them and escape. The toys resign themselves to their fate, but are soon rescued by the Aliens operating an industrial claw. Lotso is found by a garbage truck driver who straps him to his truck's radiator grill and drives away. Woody and his friends board another garbage truck back to Andy's house. In Andy's room, Woody climbs into the box with Andy's college supplies, while the other toys ready themselves for the attic. Woody leaves a note for Andy, who, thinking the note is from his mother, takes the toys to Bonnie's house and introduces her to them. Bonnie recognizes Woody, who, to Andy's surprise, is at the bottom of the box. Though hesitant at first, Andy passes Woody on to Bonnie, and then plays with her before leaving. Woody and the other toys watch Andy's departure as they begin their new lives with Bonnie. Meanwhile, Barbie, Ken and Big Baby have made vast improvements to Sunnyside, and maintain contact with Woody and his friends through letters. Kristen Schaal and Jeff Garlin, who attended the Toy Story 3 panel at the 2010 WonderCon, joined the cast as Trixie and Buttercup, respectively. Several other characters (such as Bo Peep, RC, Etch, and Wheezy) are only seen in flashbacks or briefly mentioned. The character of Slinky Dog appeared to be in limbo after the death of his original voice actor Jim Varney on February 10, 2000, three months after Toy Story 2 was released. Varney was replaced by Blake Clark. After Clark was cast to play Slinky Dog, the producers realized that Clark and Varney had coincidentally been close friends since they appeared in the 1989 film Fast Food, making the transition a lot easier. Promotional art for Circle 7's Toy Story 3, displaying the storyline of the recalled Buzz Lightyears. Screenwriter Jim Herzfeld wrote a script for Circle 7's version of the film. It focused on the other toys shipping a malfunctioning Buzz to Taiwan, where he was built, believing that he will be fixed there. While searching on the Internet, they find out that many more Buzz Lightyear toys are malfunctioning around the world and the company has issued a massive recall. Fearing Buzz's destruction, a group of Andy's toys (Woody, Rex, Slinky, Mr. Potato Head, Hamm, Jessie, and Bullseye) venture out to rescue Buzz. At the same time, Buzz meets other toys from around the world that were once loved, but have now been recalled. In January 2006, Disney bought Pixar in a deal that put Pixar chiefs Edwin Catmull and John Lasseter in charge of all Disney Animation. Shortly thereafter, Circle 7 Animation was shut down and its version of Toy Story 3 was cancelled. :1 The following month, Disney CEO Robert Iger confirmed that Disney was in the process of transferring the production to Pixar. John Lasseter, Andrew Stanton, Pete Docter, and Lee Unkrich visited the house where they first pitched Toy Story and came up with the story for the film over a weekend. Stanton then wrote a treatment. This story had no traces of the Circle 7's version of the film, since the filmmakers did not read its script: "Not out of spite, but we wanted to start fresh, and not be influenced by what they’d done," said Unkrich. "We didn't look at any of the work they'd done. We really didn't want to know anything about it." In February 2007, Lasseter announced Toy Story 2's co-director, Unkrich, as the sole director of the film instead of himself (Lasseter had directed the first two films and was busy directing Cars 2), and Michael Arndt as screenwriter. 2010 was also announced as the tentative release date. Unkrich, who had been working with Arndt and story development artists on the film since the middle of 2006, said that he felt pressure to avoid creating "the first dud" for Pixar, since (as of 2010) all of Pixar's films had been critical and commercial successes. In February 2008, the film's plotline was reported: "Woody the cowboy and his toy box friends are dumped in a daycare centre after their owner, Andy, leaves for college." Lee Unkrich, pictured at the Toy Story 3 panel at WonderCon 2010 in April 2010, was the full-time director for the film. During the initial development stages of the film, Pixar revisited their work from the original Toy Story and found that, although they could open the old computer files for the animated 3D models, error messages prevented them from editing the files. This necessitated recreating the models from scratch. To create the chaotic and complex junkyard scene near the film's end, more than a year and a half was invested on research and development to create the simulation systems required for the sequence. Instead of sending Tom Hanks, Tim Allen and John Ratzenberger scripts for their consideration in reprising their roles, a complete story reel of the film was shown to the actors in a theater. The reel was made up of moving storyboards with pre-recorded voices, sound effects, and music. At the conclusion of the preview, the actors signed on to the film. Dolby Laboratories announced that Toy Story 3 would be the first film that will feature theatrical 7.1 surround sound. Thus, even the Blu-ray version will feature original 7.1 audio, unlike other films which were remixed into 7.1 for Blu-ray. 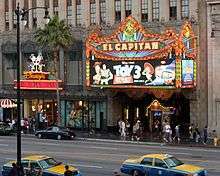 Toy Story 3 had its United States premiere at El Capitan Theatre, which also hosted a Toy Story marathon showing for the first time all three films together. Toy Story 3 had its worldwide premiere on June 12, 2010, opening at Taormina Film Fest in Italy. In the United States, it premiered on June 13, 2010, at El Capitan Theatre in Hollywood, California. El Capitan also hosted on June 17, 2010, a Toy Story marathon, showing for the first time all three Toy Story films together. The film went into its wide release on June 18, 2010, along with a release to IMAX 3D theaters. The film was theatrically accompanied with the Pixar short film Day & Night, which focuses on what happens when an animated personification of Day meets his opposite, Night, and the resulting growth for both. The film's first teaser trailer was released with Up in Disney Digital 3-D on May 29, 2009. On October 2, 2009, Toy Story and Toy Story 2 were re-released as a double feature in Disney Digital 3-D. The first full-length trailer was attached as an exclusive sneak peek and a first footage to the Toy Story double feature on October 12, 2009. A second teaser was released on February 10, 2010, followed by a second full-length trailer on February 11, and appeared in 3D showings of Alice in Wonderland and How to Train Your Dragon. On March 23, 2010, Toy Story and Toy Story 2 were released separately on Blu-ray/DVD combo packs; Toy Story included a small feature of "The Story of Toy Story 3" and Toy Story 2 included one on the "Characters of Toy Story 3." Joan Cusack, who voiced Jessie in the film, signing Toy Story 3 merchandise. Mattel, Thinkway Toys, and Lego are among companies that produced toys to promote the film. Fisher Price, a Mattel Company, has released Toy Story 3 with 21 3D images for viewing with the View-Master viewer. Disney Interactive Studios also produced a video game based on the film Toy Story 3: The Video Game, which was released for Microsoft Windows, Xbox 360, Wii, PlayStation 3, Nintendo DS, and PSP on June 15, 2010. A PlayStation 2 version was released on October 30, 2010 as part of a PS2 bundle and separately on November 2, 2010 (the same day Toy Story 3 was released on DVD and Blu-ray). It was also the last Disney/Pixar game to be released on PlayStation 2. Toy Story 3 was featured in Apple's iPhone OS 4 Event on April 8, 2010, with Steve Jobs demonstrating a Toy Story 3-themed iAd written in HTML5. Pixar designed a commercial for the toy Lots-O'-Huggin' Bear and formatted it to appear as if it came from an old VCR recording. The recording was altered with distorted sound, noise along the bottom of the screen, and flickering video, all designed to make it look like a converted recording from around 1983. A Japanese version of the commercial was also released online, with the name "Lots-O'-Huggin Bear" replaced with "Little Hug-Hug Bear" (Japanese:ハグハグベアちゃん/Hagu Hagu Beya-Chan). On Dancing with the Stars' May 11, 2010 episode, the Gipsy Kings performed a Spanish-language version of the song "You've Got a Friend in Me," which featured a paso doble dance choreographed by Cheryl Burke and Tony Dovolani. Both the song and dance are featured in the film. Toy Story 3 was promoted with airings of the first and second film on several channels in the weeks preceding the film's release, including Disney Channel, Disney XD, and ABC Family. Sneak peeks of Toy Story 3 were also revealed, primarily on Disney Channel. Toy Story 3's "Not since..." Oscar campaign drew a lot of attention, emphasizing the film's uniqueness and critical acclaim. The campaign consisted of posters featuring characters from the film, comparing Toy Story 3 to previous winners such as The Lord of the Rings, Shakespeare in Love, Titanic, and more. Walt Disney Studios Chairman Rich Ross explained they were going for the Best Picture win, not just Best Animated film. The Hollywood Reporter gave the campaign a bronze award in Key Art Awards Winners 2011. 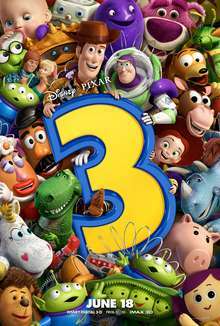 Toy Story 3 was released by Walt Disney Studios Home Entertainment in North America on November 2, 2010, in a standard DVD edition, a two-disc Blu-ray Disc, and in a four-disc Blu-ray/DVD/Digital Copy combo pack. Features include behind the scenes, including a sneak peek teaser for the then-upcoming Cars 2 (the sequel to the 2006 film Cars). A 10-disc Toy Story trilogy Blu-ray box set arrived on store shelves that same day. A 3D version of the Blu-ray was released in North America on November 1, 2011. On its first week of release (November 2–7, 2010), it sold 3,859,736 units (equal to $73,096,452), ranking No.1 for the week and immediately becoming the best-selling animated film of 2010 in units sold (surpassing How to Train Your Dragon). As of July 18, 2012, it has sold 10,911,701 units ($185,924,247). It has become the best-selling DVD of 2010 in units sold, but it lacks in sales revenue and therefore ranks second behind Avatar on that list. It also sold about 4.0 million Blu-ray units, ranking as the fourth best-selling film of 2010. In the United Kingdom, it broke the record for the largest first day ever for animated feature in sales revenue, on both DVD and Blu-ray. Additionally, on the first day of its iTunes release, it immediately became the most downloaded Disney film ever. Toy Story 3 earned $415 million in North America and $652 million in other countries for a worldwide total of $1.067 billion, earning more revenue than the previous two films of the series combined. It became the highest-grossing animated film, surpassing the six-year-old record held by 2004's Shrek 2 ($919 million), until Walt Disney Animation Studios' Frozen surpassed it in 2014, followed by Minions in 2015. It is the eighteenth highest-grossing film, the highest-grossing film of 2010, the third highest-grossing animated film (behind Frozen and Minions), the highest-grossing film in the Toy Story series, the highest-grossing Pixar film, and the seventh highest-grossing film distributed by Disney. In estimated attendance, though, it still ranks fourth on the list of modern animated films, behind Shrek 2, Finding Nemo, and The Lion King. On its first weekend, Toy Story 3 topped the worldwide box office with $145.3 million ($153.7 million with weekday previews), the ninth largest opening weekend worldwide for an animated feature. On August 27, 2010 — its seventy-first day of release, it surpassed the $1 billion mark, becoming the third Disney film, the second Disney-distributed film in 2010 (after Alice in Wonderland), the first animated film, and the seventh film in cinematic history to do so. In North America, Toy Story 3 is the seventeenth highest-grossing film, unadjusted for inflation. Adjusted for ticket price inflation, though, it ranks ninety-fifth on the all-time chart. It is also the highest-grossing film of 2010, the second highest-grossing Pixar film (behind Finding Dory), the second highest-grossing G-rated film (behind The Lion King), the fourth highest-grossing animated film, and the seventh highest-grossing film distributed by Disney. Box Office Mojo estimates that the film sold over 52 million tickets in the U.S. The film earned $41.1 million on its opening day (June 18, 2010) from 4,028 theaters, including $4 million at midnight shows from about 1,500 theaters, setting an opening day record for an animated film (surpassed by Minions and later Finding Dory). During its opening weekend, the film topped the box office with $110.3 million, setting an opening weekend record among Pixar films (surpassed by Finding Dory), films released in June (surpassed by Man of Steel and later Jurassic World), and G-rated films. The film also achieved the second largest opening weekend among animated films and the fourth largest opening weekend among 2010 films. Its average of $27,385 per venue is the second highest for a G-rated film and the third highest for an animated feature. Its opening week gross (Friday through Thursday) of $167.6 million is the second largest among animated films, the second largest among 2010 films, and the twenty-third largest of all time. It also achieved the largest 10-day gross among 2010 films. It topped the box office for two consecutive weekends. Outside of North America, Toy Story 3 is the twenty-ninth highest-grossing film, the sixth highest-grossing animated film, the third highest-grossing film of 2010, the highest-grossing Pixar film, and the eleventh highest-grossing Disney film. It topped the box office outside North America three times, in its first ($35 million), second, and sixth weekend (which was its largest). Its highest-grossing market after North America is Japan ($126.7 million), where it is the second highest-grossing U.S. animated feature (behind Finding Nemo), followed by the UK and Ireland, and Malta (£73.8 million – $116.6 million), where it is the sixth highest-grossing film, and Mexico ($59.4 million), where it is the second highest-grossing film. It set opening weekend records for animated films in Ecuador, Colombia, Mexico, China, Argentina, Hong Kong, Spain, and the UK. It is the highest-grossing animated film of all time in the UK, Ireland and Malta, Mexico, Hong Kong, and Egypt. It is the highest-grossing film of 2010 in Argentina, Bolivia, Chile, Colombia, Hong Kong, Mexico, Spain, the UK, Ireland, and Malta. The film has a 99% approval rating on the review aggregation website Rotten Tomatoes based on reviews from 290 critics, with an average score of 8.9/10. The site's consensus was "Deftly blending comedy, adventure, and honest emotion, Toy Story 3 is a rare second sequel that really works." Toy Story 3 was the best-reviewed film of 2010 on Rotten Tomatoes. Another review aggregator, Metacritic, which assigns a normalized rating out of 100 top reviews from mainstream critics, calculated a score of 92 based on 39 reviews, signifying "universal acclaim." TIME named Toy Story 3 the "best film of 2010," as did Quentin Tarantino. In 2011, TIME named it one of "The 25 All-TIME Best Animated Films." Audiences surveyed by Cinemascore gave the film a grade "A" rating. 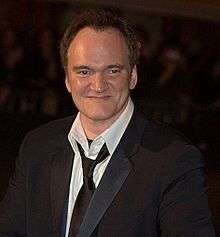 Quentin Tarantino placed the film at the top position in his list of favorite films of 2010. A. O. Scott of The New York Times stated "This film—this whole three-part, 15-year epic—about the adventures of a bunch of silly plastic junk turns out also to be a long, melancholy meditation on loss, impermanence and that noble, stubborn, foolish thing called love." Owen Gleiberman from Entertainment Weekly gave the film an "A" saying "Even with the bar raised high, Toy Story 3 enchanted and moved me so deeply I was flabbergasted that a digitally animated comedy about plastic playthings could have this effect." Gleiberman also wrote in the next issue that he, along with many other grown men, cried at the end of the film. Michael Rechtshaffen of The Hollywood Reporter also gave the film a positive review, saying "Woody, Buzz and playmates make a thoroughly engaging, emotionally satisfying return." Mark Kermode of the BBC gave the film, and the series, a glowing review, calling it "the best movie trilogy of all time." In USA Today, Claudia Puig gave the film a complete 4 star rating, writing "This installment, the best of the three, is everything a movie should be: hilarious, touching, exciting, and clever." Lou Lumenick of the New York Post wrote "Toy Story 3 (which is pointlessly being shown in 3-D at most locations) may not be a masterpiece, but it still had me in tears at the end." Michael Phillips of the Chicago Tribune gave the film 3 out of 4 stars, writing that "Compared with the riches of all kinds in recent Pixar masterworks such as Ratatouille, WALL-E, and Up, Toy Story 3 looks and plays like an exceptionally slick and confident product, as opposed to a magical blend of commerce and popular art." Roger Moore of the Orlando Sentinel, who gave the film 3½ out of 4 stars, wrote "Dazzling, scary, and sentimental, Toy Story 3 is a dark and emotional conclusion to the film series that made Pixar famous." On January 25, 2011, the Academy of Motion Picture Arts and Sciences announced that Toy Story 3 was not only nominated for Best Animated Feature, but also for Best Picture. This makes Toy Story 3 not only the first animated sequel in history to be nominated for Best Picture, but also just the third animated film to ever be so nominated (following Beauty and the Beast and Up), with Toy Story 3 becoming the second Pixar film to be nominated for both awards. Toy Story 3 also became the first ever Pixar film—and the first animated feature film since Shrek—to be nominated for the Academy Award for Best Adapted Screenplay, though six of Pixar's previous films were nominated for the Best Original Screenplay: Toy Story, Finding Nemo, The Incredibles, Ratatouille, WALL-E, and Up. In 2011, it was nominated for a Kids' Choice Award for Favorite Animated Movie, but lost to Despicable Me. 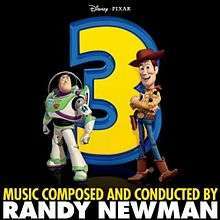 The film score for Toy Story 3 was composed and conducted by Randy Newman, his sixth for Pixar after Toy Story, A Bug's Life, Toy Story 2, Monsters, Inc., and Cars. Initially, Disney released the soundtrack only as digital download. This was the second instance where Disney did not release the award-winning soundtrack of a Pixar film on CD, the first being Up. In January 2012, Intrada released the Toy Story 3 soundtrack on Compact Disc. In addition to the tracks included in the soundtrack album, the film also uses several other tracks such as "Dream Weaver" by Gary Wright, "Le Freak" by Chic, and Randy Newman's original version of "You've Got a Friend in Me." Furthermore, tracks "Cowboy!" and "Come to Papa" included material from Newman's rejected score to Air Force One. The song "Losing You" from Newman's own album Harps and Angels was also used in the first trailer for the film. The Judas Priest song "Electric Eye" was also used in the film in the temp score for the opening scene of Toy Story 3. The aliens are playing the tune in their sports car. The song was ultimately replaced by another piece of music. 83rd Academy Awards Best Original Song – "We Belong Together"
A sequel, titled Toy Story 4, will be released on June 21, 2019. The film will be directed by John Lasseter and co-directed by Josh Cooley. The film will focus on Bonnie's toys helping Woody to reunite with Bo Peep. 1 2 3 4 "Toy Story 3 (2010)". Box Office Mojo. Retrieved August 20, 2016. ↑ Scott, Mike (May 18, 2010). "The Pixar way: With 'Toy Story 3' continuing the studio's success, one must ask: How do they do it?". The Times-Picayune. NOLA.com. Retrieved June 18, 2010. ↑ "Release dates for Toy Story 3". Internet Movie Database. Retrieved December 3, 2010. ↑ "Dolby Unveils Dolby Surround 7.1 at ShoWest 2010". MarketWatch. Retrieved March 16, 2010. ↑ "Nominees for the 83rd Academy Awards". The Academy of Motion Picture Arts and Sciences. Retrieved December 25, 2011. ↑ Sperling, Nicole (August 13, 2010). "'Toy Story 3' becomes highest-grossing animated flick of all time". Entertainment Weekly. Retrieved April 9, 2012. 1 2 3 4 5 Subers, Ray (August 29, 2010). "'Toy Story 3' Reaches $1 Billion". Box Office Mojo. Retrieved August 30, 2010. 1 2 McClintock, Pamela (October 26, 2016). "'The Incredibles 2' Moves Up to Summer 2018; 'Toy Story 4' Pushed to 2019". The Hollywood Reporter. Retrieved October 27, 2016. ↑ Reynolds, Simon (June 17, 2010). "Toy Story 3 - Movies Review". Digital Spy. Retrieved January 31, 2014. 1 2 "Toy Story 3". British Film Institute. Retrieved February 16, 2014. ↑ Barker, Xanthi (September 12, 2011). "A Curious Calling: Javier Fernandez-Pena". London Confidential. Retrieved March 6, 2013. ↑ Goldman, Eric (April 3, 2010). "WC 10: Toy Story 3 Scenes Shown". IGN. Retrieved February 16, 2014. ↑ A New Voice for a 'Toy Story' Favorite. Yahoo! Movies. Retrieved June 16, 2010. 1 2 Bootie Cosgrov (January 29, 2004). "Pixar To Disney: Adios, Mouse". CBS News. Retrieved February 16, 2014. ↑ Isidore, Chris (January 30, 2004). "Disney could gain from Pixar loss". CNN. Retrieved February 16, 2014. While technically Pixar has the rights of first refusal on all sequels, it would have to again give Disney the lion's share of the profits from those films. 1 2 3 4 Steve Daly (June 16, 2006). "Woody: The Untold Story / The Other Story". Entertainment Weekly. p. 3. Retrieved August 28, 2010. ↑ M. Holson, Laura (January 25, 2006). "Disney Agrees to Acquire Pixar in a $7.4 Billion Deal". The New York Times. Retrieved February 16, 2014. ↑ Jill Goldsmith (February 6, 2006). "Mouse signing off". Variety. Retrieved August 28, 2010. ↑ "2007 Disney Conference – Studio Presentation" (PDF). Disney Enterprises. February 8, 2007. Retrieved August 6, 2007. 1 2 3 Steve Daly (February 16, 2007). "Toys Out of the Attic". Entertainment Weekly. Retrieved March 6, 2007. ↑ Ben Fritz (February 8, 2007). "'Toy Story' sequel set". Variety. Retrieved August 28, 2010. ↑ Susan King (June 21, 2010). "'Toy Story 3′ director Lee Unkrich felt the pressure to avoid Pixar's 'first dud'". Los Angeles Times. Retrieved September 29, 2010. ↑ Merissa Marr, Nick Wingfield (February 19, 2008). "Big Media Companies Want Back in the Game". The Wall Streer Journal. Retrieved August 16, 2015. ↑ Jim Slotek (June 13, 2010). "'Toy Story 3': After the Golden Age". Toronto Sun. Retrieved June 13, 2010. ↑ Medsker, David (June 16, 2010). "A chat with Lee Unkrich, Lee Unkrich interview, Toy Story 3, Pixar". Bullz-eye.com. Retrieved May 6, 2011. ↑ Helen O'Hara (April 23, 2009). "Exclusive: Tom Hanks On Toy Story 3". Empire. Archived from the original on October 19, 2012. Retrieved April 23, 2009. 1 2 Goodman, Dean (June 20, 2010). ""Toy Story 3" sets worldwide box office abuzz". Reuters. Retrieved February 16, 2014. 1 2 Walt Disney Studios Motion Pictures (June 1, 2010). ""Toy Story" Takes over Hollywood Theater" (Press release). Business Wire. Retrieved February 16, 2014. ↑ J. Lyman, Eric (May 24, 2010). "'Toy Story 3' to open Taormina Film Fest". The Hollywood Reporter. Retrieved February 16, 2014. ↑ "Toy Story 3 in IMAX". IGN. December 18, 2009. Retrieved February 16, 2014. ↑ Peter Sciretta (March 11, 2010). "First Look: Pixar's Day & Night.". slashfilm.net. Retrieved March 15, 2010. ↑ "Exclusive: First Look at Pixar Short Day & Night!". ComingSoon.net. March 12, 2010. Retrieved March 15, 2010. ↑ "Toy Story 3 Teaser Trailer Description". /Film. May 25, 2009. Retrieved May 25, 2009. ↑ "Disney Set to Debut Special Limited Engagement, Double Feature, of Disney-Pixar's 'Toy Story' and 'Toy Story 2' Exclusively in Disney Digital 3D(TM) on October 2nd" (Press release). PR Newswire. March 31, 2009. Retrieved January 25, 2014. ↑ "Toy Story 3 Trailer Now Officially Online!". ComingSoon.net. Retrieved January 23, 2014. ↑ "The Full New Toy Story 3 Trailer!". ComingSoon.net. February 11, 2010. Retrieved January 23, 2014. ↑ "Toy Story 3 Blu-ray". Blu-ray.com. Retrieved January 23, 2014. ↑ "Toy Story 2 3D Blu-ray". Blu-ray.com. Retrieved January 23, 2014. ↑ "NYCC 2009 – Mattel Presents Toy Story". Toy News International. February 6, 2009. Retrieved February 15, 2009. ↑ "Disney and LEGO Group Announce Strategic Licensing Relationship". PR Newswire. February 15, 2009. Archived from the original on February 18, 2009. Retrieved February 15, 2009. ↑ Wilcox, Jon (February 20, 2008). "Disney Goes Internal For Toy Story 3". Total Video Games. Archived from the original on December 3, 2013. Retrieved August 14, 2009. 1 2 "Toy Story 3 The Video Game - PlayStation 2: Video Games". Amazon.com. Retrieved January 23, 2014. ↑ Apple Inc. "Apple – QuickTime – April 2010 Apple Special Event". Events.apple.com.edgesuite.net. Retrieved June 13, 2010. ↑ "Yahoo! Movies – Movie Talk: Toy Story 3 Features Toy You Never Had". April 26, 2010. Archived from the original on January 8, 2012. Retrieved May 1, 2010. ↑ "Slashfilm.com – And Now the Vintage Japanese Commercial for Pixar's Lots-o'-Huggin Bear". April 27, 2010. Retrieved May 1, 2010. ↑ "ABC.com – Dancing With the Stars – Episode Guide – Results Show: Week Eight". 2010. Archived from the original on January 15, 2011. Retrieved May 17, 2010. ↑ "Buzz Lightyear's Paso Doble". 2010. Archived from the original on May 13, 2010. Retrieved May 17, 2010. ↑ Scott, Mike (June 10, 2010). "Buried Treasure: Original 'Toy Story' movies to air ahead of next week's 'Toy Story 3' release". Nola.com. Retrieved February 16, 2014. ↑ Gorman, Bill (June 15, 2010). ""Toy Story" and "Toy Story 2" Rank Among Disney XD's Top 3 Telecasts on Record in Total Viewers". Zap2it. Retrieved February 16, 2014. 1 2 Consoli, John (May 27, 2010). "ABC Family Offering First Looks at 'Toy Story 3′". The Wrap. Retrieved February 16, 2014. ↑ White, James (January 3, 2010). "Meet Toy Story 3's Mr Pricklepants". Empire. Retrieved February 16, 2014. ↑ "Toy Story 3 Oscar Campaign Gets Noticed". MOVIEVIRAL.com. Retrieved February 16, 2014. ↑ "OSCAR: Disney's Rich Ross Says "We're Going For The Best Picture Win" For 'Toy Story 3′". Deadline.com. Retrieved February 16, 2014. ↑ Simpson, David (October 19, 2011). "Key Art Awards Winners 2011". The Hollywood Reporter. Retrieved February 16, 2014. ↑ Toy Story 3 DVD and Blu-ray Released on November 2. Retrieved August 13, 2010. ↑ Big Toy Story Trilogy Blu-ray Box Set Coming. Retrieved August 21, 2010. ↑ DeMott, Rick (November 1, 2011). "Toy Story Trilogy Comes to Blu-ray 3-D". Animation World Network (Press release). Retrieved February 16, 2014. ↑ "Toy Story 3 – DVD Sales". The Numbers. Archived from the original on November 9, 2013. Retrieved July 18, 2012. ↑ "Top-Selling DVDs of 2010". The Numbers. Retrieved March 1, 2011. ↑ "DVD Sales: Gru was Despicable to the Competition". The Numbers. December 28, 2010. Retrieved November 17, 2011. ↑ Marion McMullen (November 24, 2010). "To Infinity And Beyond ... Toy Story 3 Breaks Sales Record". Coventry Telegraph. Retrieved November 24, 2010. ↑ Frizell, Sam (March 30, 2014). "Frozen Now the Top-Grossing Animated Film of All Time". Time. Retrieved August 25, 2014. ↑ "All Time Worldwide Box Office Grosses". Retrieved August 19, 2016. ↑ "2010 yearly box office results". Box Office Mojo. Retrieved February 16, 2014. ↑ "Toy Story Movies at the Box Office". Box Office Mojo. Retrieved February 16, 2014. 1 2 "Pixar Movies at the Box Office". Box Office Mojo. Retrieved February 16, 2014. ↑ "All time worldwide box office grosses". Box Office Mojo. Retrieved December 29, 2015. ↑ "All time worldwide opening records at box office". Box Office Mojo. Retrieved February 16, 2014. ↑ "All time box office adjusted for ticket price inflation". Box Office Mojo. Retrieved July 13, 2016. ↑ "Top grossing G rated movies at the box office". Box Office Mojo. Retrieved February 16, 2014. ↑ "Animation movies at the box office". Box Office Mojo. Retrieved July 13, 2016. ↑ "All time domestic box office results". Box Office Mojo. Retrieved July 13, 2016. ↑ "Toy Story 3 (2010)". Box Office Mojo. Retrieved May 31, 2016. ↑ "Friday Report: 'Toy Story 3' Sets Toon Opening Day Record". Box Office Mojo. June 19, 2010. Retrieved August 30, 2010. ↑ Scott Mendelson (July 11, 2015). "Box Office: 'Minions' Goes Bananas With Record $46M Friday". Forbes. Retrieved August 11, 2016. ↑ Scott Mendelson (June 18, 2016). "Pixar's 'Finding Dory' Finds Record-Crushing $55 Million Friday". Forbes. Retrieved August 11, 2016. ↑ Bray, Brandon (June 21, 2010). "Weekend Report: Pixar Pounds Its 'Toy' Chest". Box Office Mojo. Retrieved March 17, 2012. ↑ ""Finding Dory" breaks record for opening of animated film". Associated Press. June 20, 2016. Retrieved August 11, 2016. ↑ Anthony D'Alessandro and Anita Busch (June 15, 2015). "'Jurassic World' Domestic Record $208.8M Bow Lifts Industry – Box Office Final". Deadline.com. (Penske Media Corporation). Retrieved August 11, 2016. ↑ "Biggest opening G rated movies at the box office". Box Office Mojo. Retrieved February 16, 2014. ↑ "Animation movies opening weekends". Box Office Mojo. Retrieved February 16, 2014. ↑ "2010 yearly opening grosses". Box Office Mojo. Retrieved February 16, 2014. ↑ "Top worldwide release opening weekend theatre average". Box Office Mojo. Retrieved February 16, 2014. ↑ "Biggest opening weeks at the box office". Box Office Mojo. Retrieved July 13, 2016. ↑ "Top movies opening grosses after 10 days in release". Box Office Mojo. Retrieved February 16, 2014. ↑ Gray, Brandon (June 28, 2010). "Weekend Report: 'Toy Story 3' Charms Again, Sandler Doesn't Grow, Cruise Capsizes". Box Office Mojo. Retrieved August 16, 2010. 1 2 "All time worldwide box office grosses". Box Office Mojo. Retrieved February 16, 2014. ↑ "2010 overseas total yearly box office results". Box Office Mojo. Retrieved February 16, 2014. ↑ "Overseas Total Box Office June 18–20, 2010". Box Office Mojo. Amazon.com. Retrieved June 8, 2011. ↑ "Overseas Total Box Office June 25–27, 2010". Box Office Mojo. Amazon.com. Retrieved June 8, 2011. ↑ "Overseas Total Box Office July 23–25, 2010". Box Office Mojo. Amazon.com. Retrieved June 8, 2011. ↑ "Toy Story 3 - International box office results". Box Office Mojo. Retrieved February 16, 2014. ↑ "Battleship cruises to top of UK box office charts". April 17, 2012. Retrieved May 25, 2012. 1 2 "Mexico all time opening weekends". Box Office Mojo. Retrieved February 16, 2014. ↑ "Around-the-World Roundup: 'Toy Story 3' Plays Strongly in Opening". Box Office Mojo. Amazon.com. June 22, 2010. Retrieved March 17, 2012. ↑ "Around-the-World Roundup: 'Shrek' Is King At Last". Box Office Mojo. Amazon.com. July 20, 2010. Retrieved March 17, 2012. ↑ "Around-the-World Roundup: 'Inception,' 'Toy Story 3' Dream Big". Box Office Mojo. Amazon.com. July 27, 2010. Retrieved March 17, 2012. ↑ Reynolds, Simon (August 16, 2010). "'Toy Story 3' still UK box office No. 1". Digital Spy. Archived from the original on August 30, 2013. Retrieved August 30, 2013. ↑ Subers, Ray (August 17, 2010). "Around-the-World Roundup: 'Inception' Still Wide Awake". Box Office Mojo. Archived from the original on August 30, 2013. Retrieved August 30, 2013. ↑ Ma, Kevin (July 12, 2013). "Monsters sets Hong Kong animation record". Film Business Asia. Archived from the original on August 30, 2013. Retrieved August 30, 2013. ↑ "Hong Kong all time opening weekends". Box Office Mojo. Retrieved February 16, 2014. ↑ "2010 Argentina yearly box office results". Box Office Mojo. Retrieved February 16, 2014. ↑ "2010 Bolivia yearly box office results". Box Office Mojo. Retrieved February 16, 2014. ↑ "2010 Chile year box office results". Box Office Mojo. Retrieved February 16, 2014. ↑ "2010 Columbia year box office results". Box Office Mojo. Retrieved February 16, 2014. ↑ "2010 Hong Kong yearly box office results". Box Office Mojo. Retrieved February 16, 2014. ↑ "2010 Mexico yearly box office results". Box Office Mojo. Retrieved February 16, 2014. ↑ "2010 Spain yearly box office results". Box Office Mojo. Retrieved February 16, 2014. ↑ "2010 United Kingdom yearly box office results". Box Office Mojo. Retrieved February 16, 2014. ↑ "Toy Story 3 Movie Reviews, Pictures". Rotten Tomatoes. Flixster. Retrieved June 24, 2016. ↑ "2010 Golden Tomato Awards". Rotten Tomatoes. Retrieved January 17, 2011. ↑ "Toy Story 3 reviews at Metacritic.com". Metacritic. Retrieved June 24, 2010. ↑ "The Top 10 Everything of 2010". Time. December 9, 2010. Retrieved December 12, 2010. 1 2 Nordyke, Kimberly. "Quentin Tarantino's Surprising Choices for Best Films of 2010". The Hollywood Reporter. Retrieved January 10, 2011. ↑ Richard Corliss (June 23, 2011). "The 25 All-TIME Best Animated Films - Toy Story 3". Time. Retrieved August 19, 2011. ↑ "'Toy Story 3' is Pixar's biggest opening, but will it be Pixar's most successful movie?". Los Angeles Times. June 20, 2010. Retrieved February 16, 2014. ↑ A.O. Scott (June 18, 2010). "Voyage to the Bottom of the Day Care Center". The New York Times. Retrieved June 19, 2010. ↑ Gleiberman, Owen (June 18, 2010). "Toy Story 3". Entertainment Weekly. Retrieved June 19, 2010. ↑ Gleiberman, Owen. "Message to men: Yes, it's okay to cry at 'Toy Story 3'". Entertainment Weekly. Retrieved August 17, 2010. ↑ Rechtshaffen, Michael (October 14, 2010). "Toy Story 3 – Film Review". .
↑ "Mark Kermode reviews Toy Story 3". YouTube. Retrieved February 16, 2014. ↑ Puig, Claudia (June 20, 2010). "You're never too old for funny, sweet toys in 'Toy Story 3'". USA Today. Gannett Co. Inc.
↑ Lumenick, Lou (June 17, 2010). "A Great Escape – Fun play date finds 'Toy' friends battling trouble when Andy & Woody go to college". New York Post. NYP Holdings, Inc. Retrieved June 17, 2010. ↑ Phillips, Michael (June 17, 2010). "'Toy Story 3' brims with style, confidence, Pixar magic". Chicago Tribune. Retrieved June 18, 2010. ↑ Moore, Roger. "Movie Review: Toy Story 3". The Orlando Sentinel. Archived from the original on October 24, 2012. Retrieved August 21, 2010. ↑ "Oscar Nominees React". The Hollywood Reporter. January 25, 2011. Retrieved March 22, 2012. ↑ Sheridan, Michael (January 25, 2011). "Oscar nominations 2011: 'Toy Story 3' nabs rare nods for Best Picture, Best Adapted Screenplay". Daily News. Retrieved February 16, 2014. 1 2 3 4 5 Horn, John (February 17, 2009). "'Wall-E' screenplay has a sound message". Los Angeles Times. Retrieved February 17, 2014. ↑ "Nominees & Winners for the 82nd Academy Awards". Academy of Motion Picture Arts and Sciences. Retrieved August 10, 2010. ↑ Robert Seidman (August 8, 2010). "Winners of 'Teen Choice 2010' Awards Announced; Teens Cast More Than 85 Million Votes". ↑ "Nickelodeon Kids' Choice Awards Nominations - Australia 2010!". The Hot Hits. August 18, 2010. Retrieved March 22, 2012. ↑ Lum, Linny (September 15, 2010). "Hollywood Awards® honors Hans Zimmer, Wally Pfister, 'Toy Story 3,' and 'Iron Man 2′". HollywoodNews.com. Retrieved March 22, 2012. ↑ Reynolds, Simon (September 27, 2010). "'Toy Story 3' scoops top DS Movie Award". Digital Spy. Retrieved March 22, 2012. ↑ Reiher, Andrea (October 19, 2010). "2010 Scream Awards winners: Kristen Stewart, 'Inception' and more". Zap2it. Retrieved March 22, 2012. ↑ "People's Choice Awards 2011 Nominees". People's Choice. Retrieved March 22, 2012. ↑ "2010". International Press Academy. Retrieved March 22, 2012. ↑ Morris, Christopher (December 1, 2010). "53rd Annual Grammy nominees". Variety. Retrieved December 1, 2010. ↑ "38th Annual Annie Nominations". International Animated Film Society. Retrieved May 5, 2013. ↑ "The 2010 WAFCA Award Winners". wafca.com. Retrieved December 12, 2010. 1 2 Labrecque, Jeff (December 13, 2010). "'Black Swan' leads Critics' Choice nominations". Entertainment Weekly. Retrieved May 6, 2011. ↑ "2010 Golden Tomato Awards". Rotten Tomatoes. Retrieved May 6, 2011. ↑ Gorman, Bill. "68th Golden Globes Winners; 'Glee,' 'Boardwalk Empire,' Katey Sagal, Laura Linney, Jim Parsons Headline TV Awards – Ratings | TVbytheNumbers". Tvbythenumbers.zap2it.com. Retrieved May 6, 2011. ↑ "Awards Tour: 2011 BAFTA Awards Nominations". Rotten Tomatoes. Retrieved December 25, 2011. ↑ Bricker, Tierney (February 10, 2011). "Kids' Choice Awards 2011 Nominees: Miley Cyrus, Justin Bieber and Selena Gomez lead". Zap2it. Retrieved March 22, 2012. ↑ "37th Annual Saturn Award Nominations". Scifimafia.com. February 25, 2011. Retrieved May 6, 2011. ↑ Ward, Kate (May 3, 2011). "Natalie Portman, Rob Pattinson nominated for MTV Movie Awards --EXCLUSIVE". Entertainment Weekly. Retrieved March 22, 2012. 1 2 Truitt, Warren. "Various Artists - Toy Story 3 Soundtrack". About.com. Retrieved February 16, 2014. ↑ Thomad, Mike (February 23, 2011). "Randy Newman brings out the man behind the movie music". Chicago Sun-Times. Retrieved February 16, 2014. ↑ van der Lugt, Peter (August 11, 2009). "An interview with Michael Giacchino". Twitch. Retrieved February 16, 2014. And will the CD of Up be released, someday? Unfortunately, it will not. The Walt Disney Company decided that, from now on, all the music from its films will be exclusively sold via digital download. ↑ "INTRADA Announces Randy Newman's TOY STORY 3". Intrada. January 23, 2012. Retrieved February 11, 2012. ↑ Thompson, Matt (September 14, 2010). "Gary Wright Talks Toy Story 3, His Classic 'Dream Weaver' and New Album". TheCelebrityCafe.com. Retrieved February 16, 2014. 1 2 "Toy Story 3 (Songbook)". iTunes Store. Retrieved February 16, 2014. ↑ "Newman: Toy Story 3". movie-wave.net. 2010. Retrieved August 6, 2010. ↑ "Randy Newman gets star on Hollywood Walk of Fame". The Pixar Blog. 2010. Retrieved September 18, 2010. ↑ Reesman, Bryan (April 10, 2010). "Judas Priest In 'Toy Story 3'? Almost.". Attention Deficit Delirium. Retrieved June 29, 2010. ↑ "Randy Newman's soundtrack for Toy Story 3 on mexican charts". aCharts. Mexico. Retrieved February 16, 2014. ↑ Morris, Christopher (December 1, 2010). "53rd Annual Grammy nominees". Variety. Retrieved January 23, 2011. ↑ "Nominees for the 83rd Academy Awards". The Academy of Motion Picture Arts and Sciences. Retrieved December 27, 2011. ↑ Graser, Marc (November 6, 2014). "John Lasseter to Direct 'Toy Story 4,' Out in 2017". Variety. Retrieved November 6, 2014. ↑ Solomon, Charles (March 10, 2015). "10 Animators to Watch - Josh Cooley". Variety. Retrieved June 7, 2015. ↑ Rosen, Christopher (August 14, 2015). "Toy Story 4 plot details emerge". Entertainment Weekly. Retrieved August 14, 2015. Wikimedia Commons has media related to Toy Story 3.